An industry leader has called on Ofcom to give Birmingham an extra local DAB multiplex now that existing capacity has been filled. The city currently has access to over 70 digital stations on DAB, through three national multiplexes, 1 local DAB multiplex and 1 small-scale DAB multiplex, which has limited coverage. 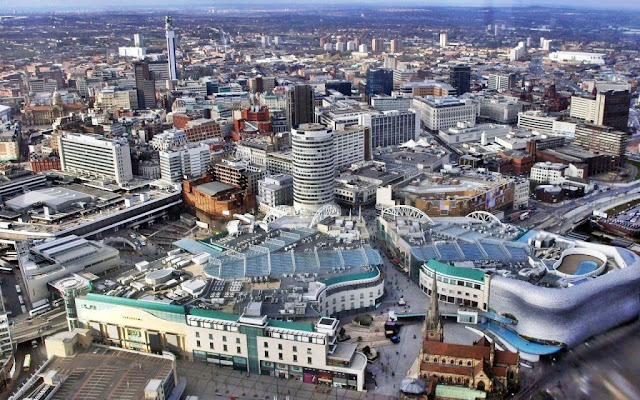 "Birmingham is a thriving media market and its current multiplex is full. It is unfair that whilst London has three local multiplexes offering a fantastic array of stations, Birmingham has just one city-wide multiplex. A second multiplex would open up competition for local businesses and provide listeners with a fresh variety of new services." The request for more capacity comes nearly four years after the West Midlands regional multiplex was closed down, forcing regional stations to take capacity on local DAB multiplexes. A similar request for more capacity was made recently in Manchester, which also faces a limited capacity problem. Meanwhile RTÉ's David Timpson confirmed that Birmingham was one of the locations it was planning to launch a service via small-scale DAB to reach the local Irish Diaspora. RTÉ has spent the last few years in regulatory deadlock over the distribution of its services on UK digtal radio multiplexes, but says it continues to work with Ofcom on the matter.